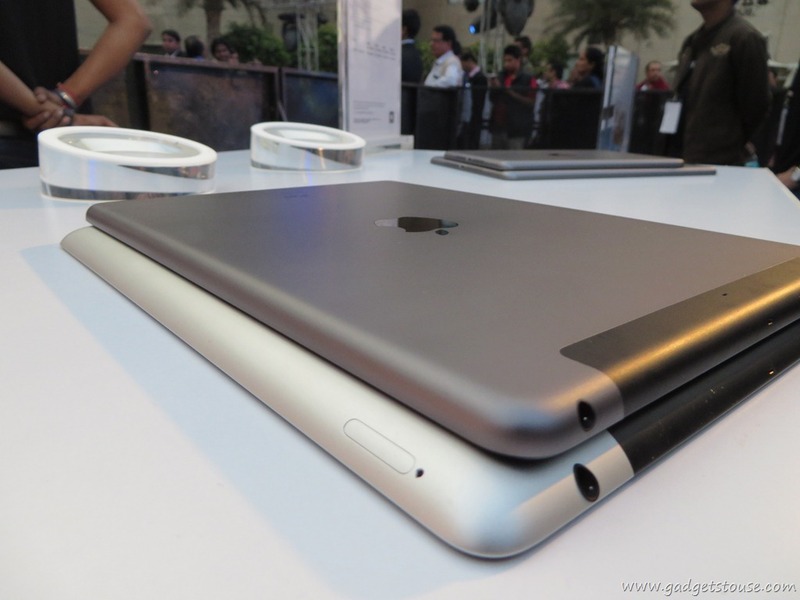 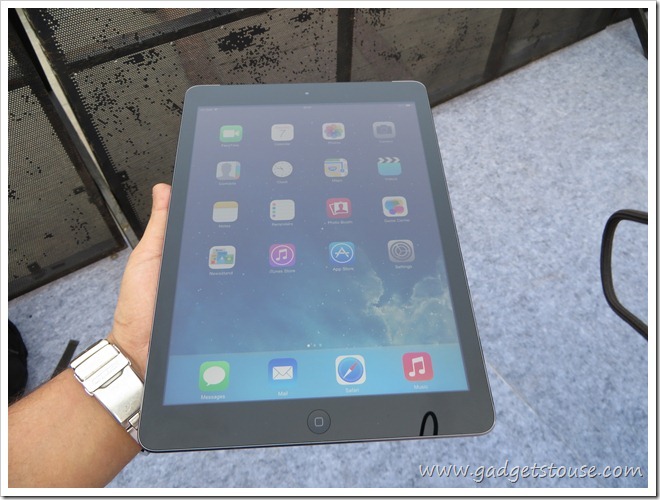 iPad Air is a latest generation of the iPad now available in India, as far as price is concerned its quite steep but we have seen similar pricing before as well for the older generations of iPad which came before this to India. 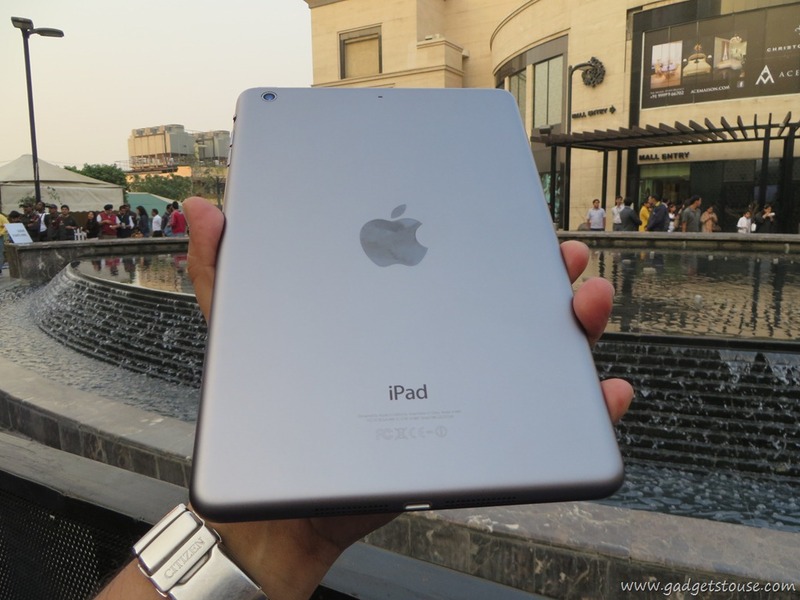 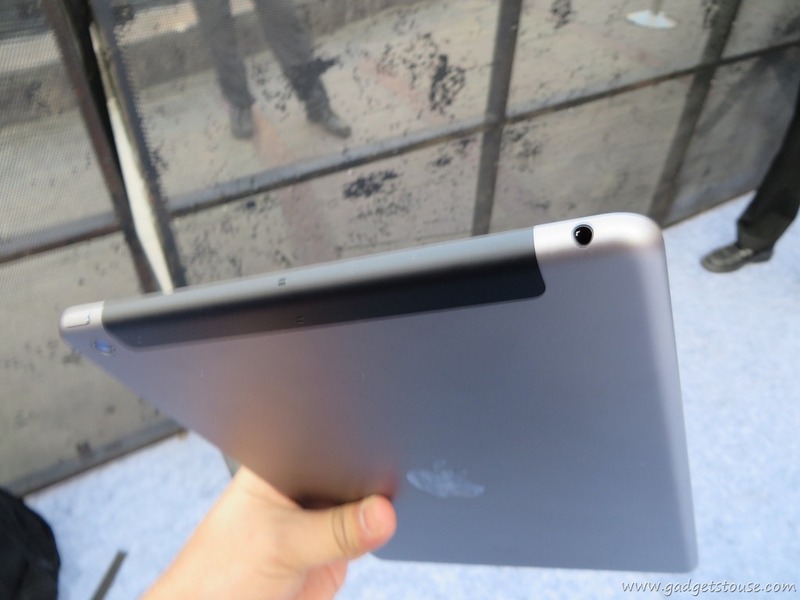 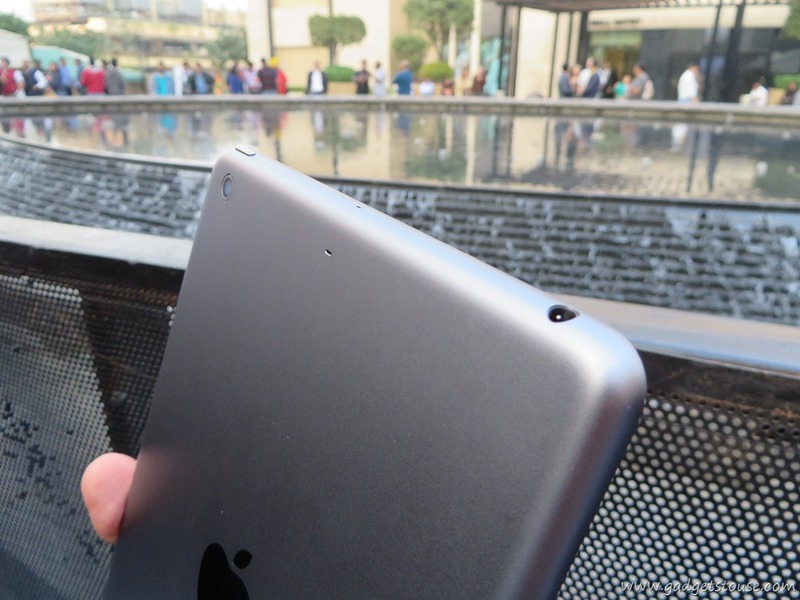 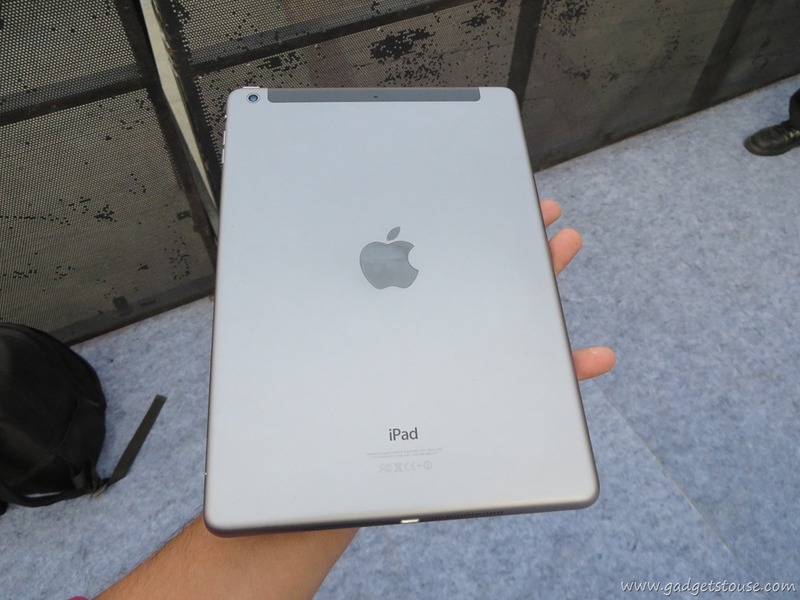 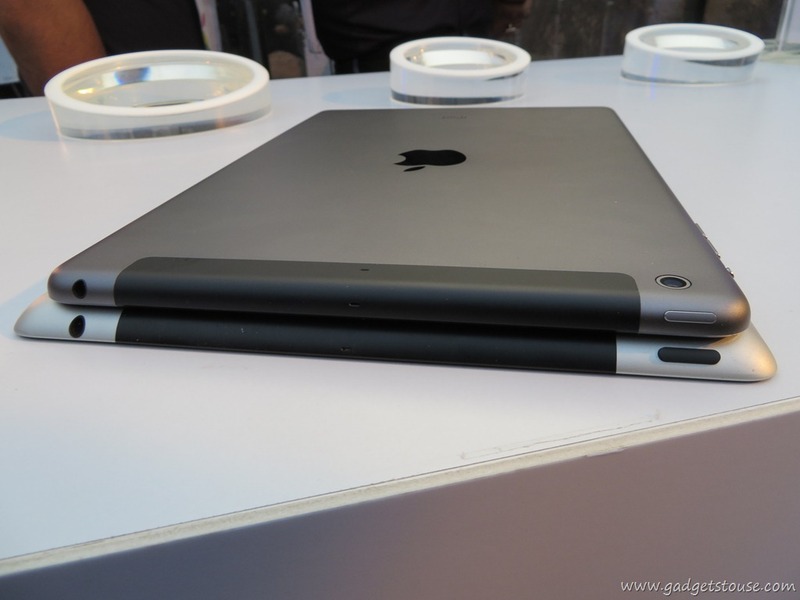 On hardware specs, it comes with Dual-core 1.3 GHz Cyclone (ARM v8-based) with PowerVR G6430 (quad-core graphics), in this initial review we tell you what’s new in the iPad air and how is it different from the older iPad which you might have seen earlier. 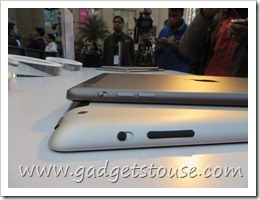 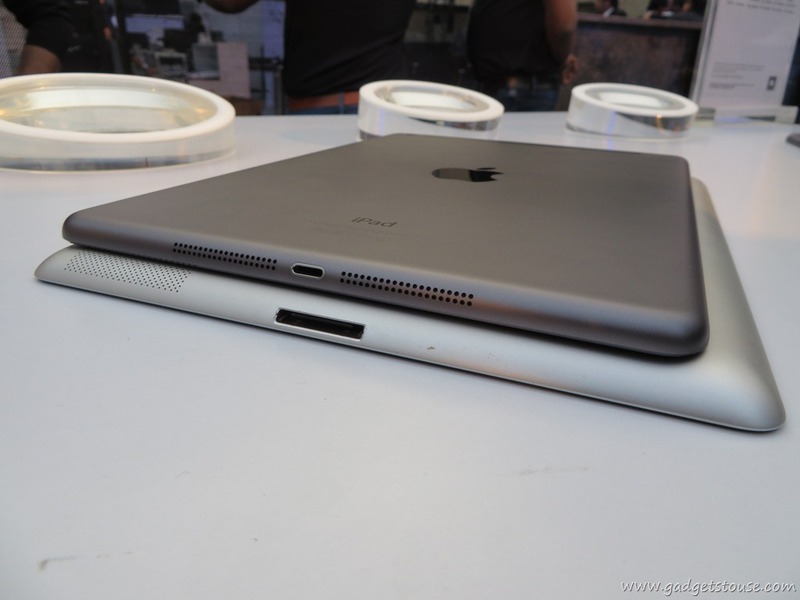 As per the looks, one can easily notice that the new iPad is a different in design, it has got more rounded edges with a shiny apple logo at the back. 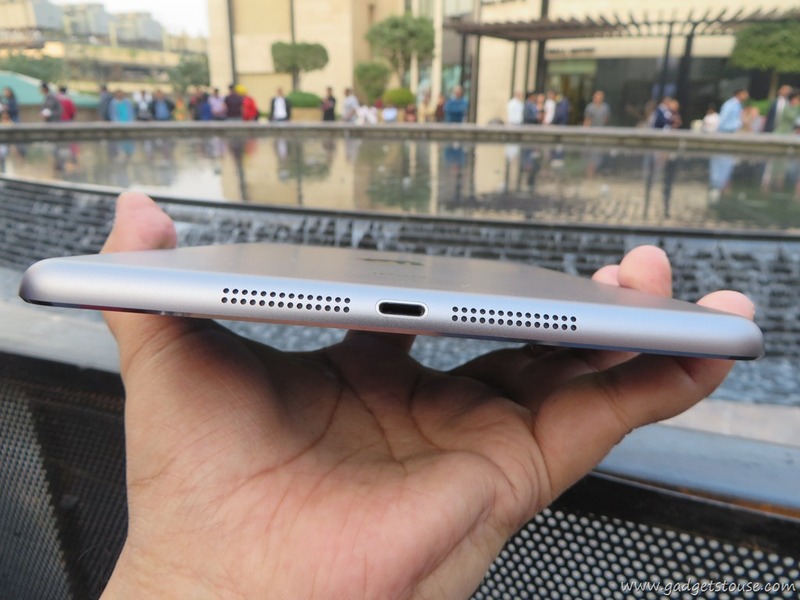 It has definitely got thinner but there is not a noticeable difference in thickness and you can only notice when place it on the side of the older generation iPad. 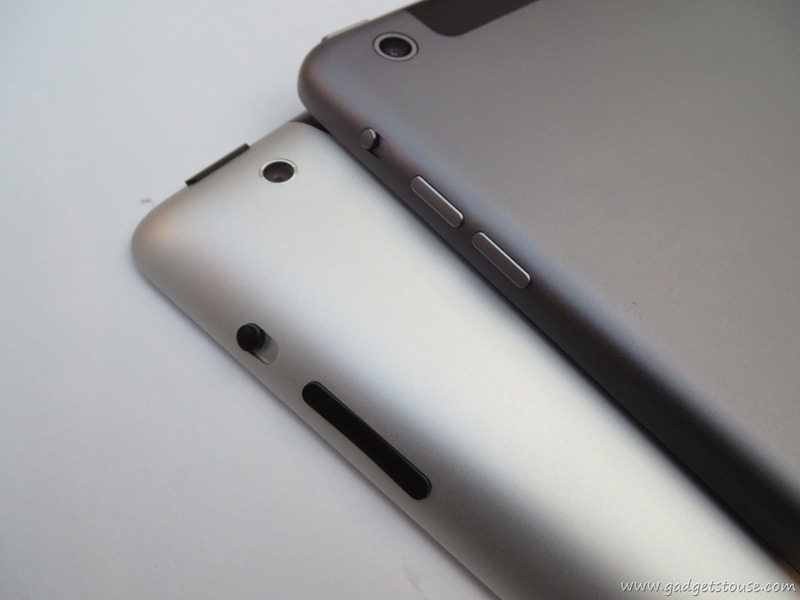 The build is again great, the blue version and the silver white version both have got aluminium which looks solid and feels great in hands. 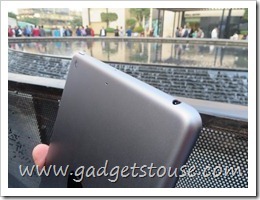 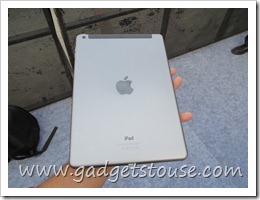 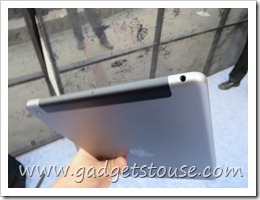 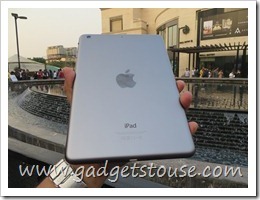 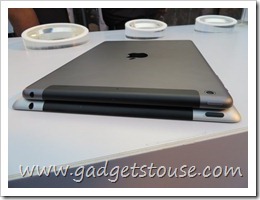 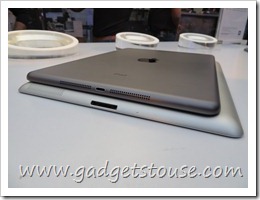 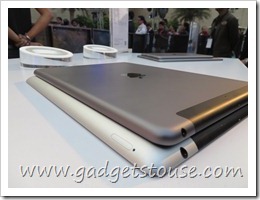 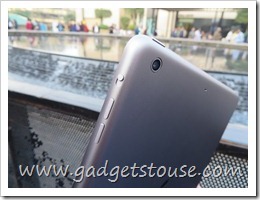 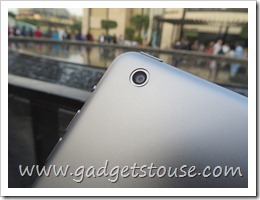 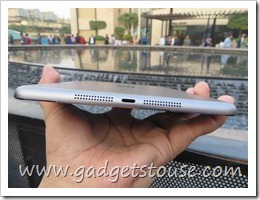 The 3G+WiFi version of the iPad Air has sim card slot moved to the bottom on the right and now its accept a Nano-SIM. 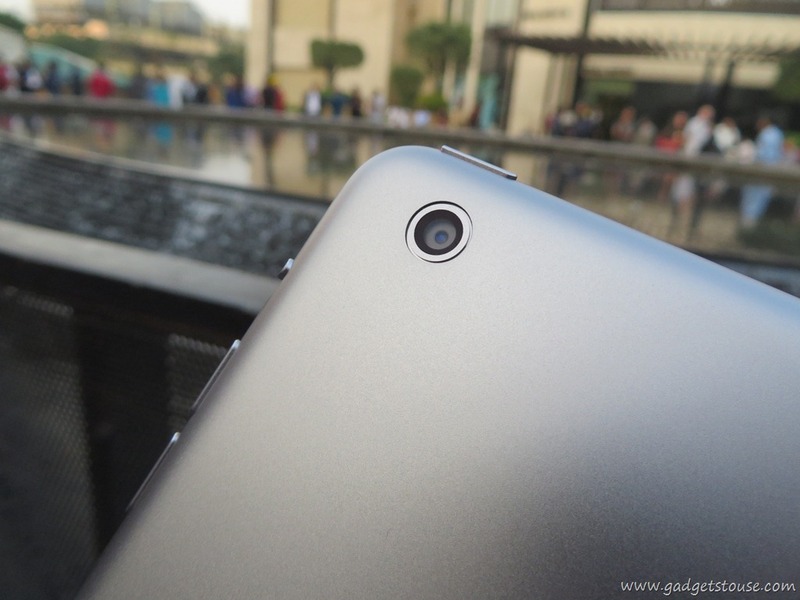 The camera now on the iPad air on the rear is a 5 MP camera with auto focus however it still does not have flash, but the photos come out to be good in daylight and the front camera 1.2 MP fixed focus is capable of recording video at 720p with face detection, it seems suitable for facetime, but make sure to have proper light when you do video calls from the front camera. The OS version which comes preinstalled is iOS 7.0.4, it is snappy in terms of UI transitions and there is no lag in UI. 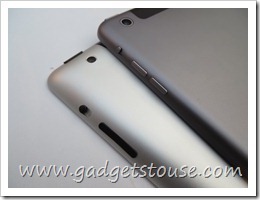 The in built battery of the device is seems to best and highest you can get in a tablet as if now, it has got 8820 mAh battery which will give you great backup on usage and it best stand by time as compared to any other tablet. 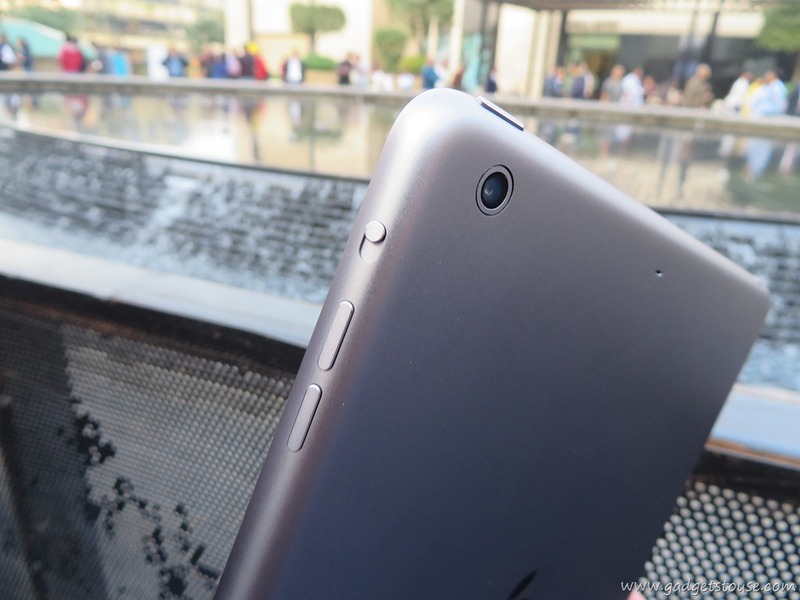 This devices seemed to be pretty decent on build quality, form factor wise its pretty good with curved matte finish back, its thinner as well as compared to other similar hardware phones. 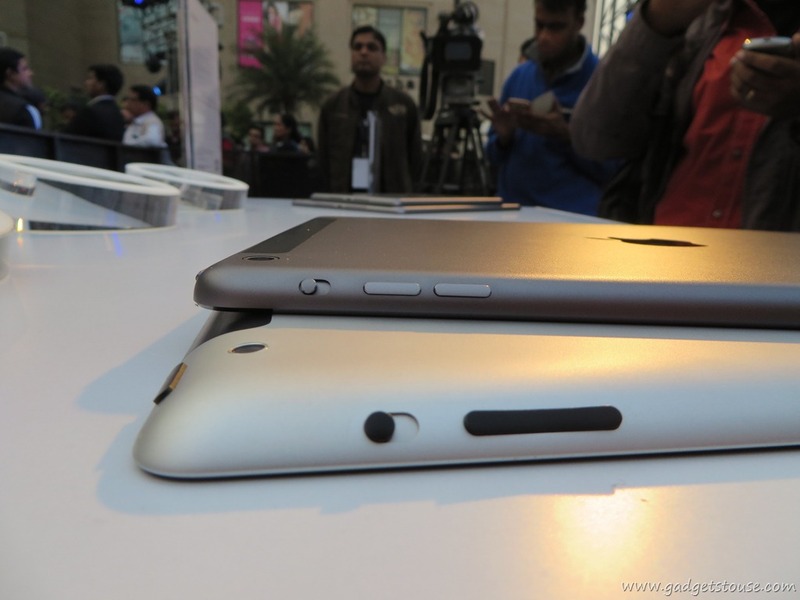 We would like to give this device a thumbs up, lets see how does this device perform in Indian market.